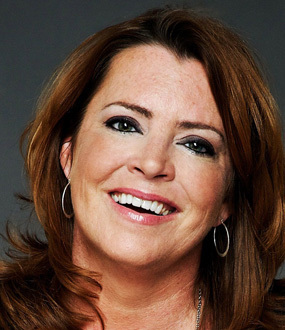 Kathleen Madigan is described as the funniest woman doing stand-up right now, but no gender qualifier is necessary. Along with Lewis Black, Brian Regan and Jim Gaffigan, she’s been called one of the funniest stand-up comedians of her generation. 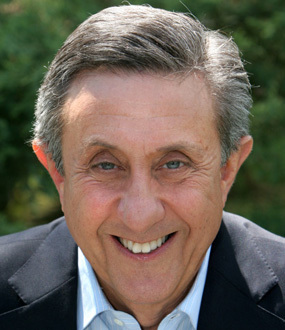 A mainstay of Comedy Central, Madigan is also a favorite on nationally syndicated radio shows such as the The Bob and Tom Show and The Stephanie Miller Show. She’s in constant rotation on SIRIUS-XM Radio and is repeated voted #1 audience favorite by listeners. She remains the only comedian in the history of NBC’s Last Comic Standing to go unchallenged by any other comedian–meaning no comedian would say they were funnier than her. She was a top three finalist in Season 2 as well as a judge on Season 5. 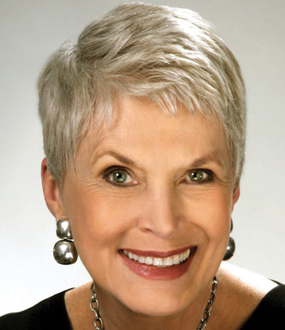 Madigan has performed internationally at festivals and theaters in Ireland, England, Australia and has filmed six Montreal Gala Shows at the Montreal Comedy Festival for Canadian television. She’s done two USO tours to Iraq and Afganistan with pals Lewis Black, Robin Williams, John Bowman, and musicals acts Kid Rock, The Zac Brown Band, Kix Brooks, and Kellie Pickler. , in constant rotation and the DVD-CD of the special topping the Amazon and iTunes charts, Madigan has the entire year booked with over 100 theater gigs across the country and numerous television appearances. She’s had countless appearances on The Tonight Show with Jay Leno, The Late Show with David Letterman, Late Night with Conan O’Brien, and every other late night show that has come and gone. She’s had her own hour specials on HBO and Comedy Central. In addition to the stand-up appearances, Madigan has been a correspondent for The Dr. Phil Show, ESPN 2 and done commentary on VH1, CNN, E! , CMT and TV Guide’s Emmy Red Carpet. She’s performed not only in the US, but in Canada, China, Ireland and England. She’s done two Chairman of the Joint Chiefs of Staff’s USO Holiday Tours of Iraq and Afghanistan. Madigan has shared the stage with Robin Williams, Lewis Black, Lance Armstrong, Kix Brooks and Admiral Mike Mullen. She’s a favorite on nationally syndicated radio shows such as The Bob and Tom Show and The Stephanie Miller Show. She’s also a constant on SIRIUS-XM Radio and last year beat out all the guys–including Larry the Cable Guy, Ron White and Jeff Foxworthy– to win the listener determined “SIRIUS Challenge Cup,” deeming her the number one favorite comedian played on SIRIUS radio. Madigan has released four CDs and two hour long DVDs. Kathleen Madigan has some advice for the president. Next time he or she is preparing for the State of the Union Address, Fannie Mae, or a talk about refinancing student loans, the president should consider what Americans really want to know by checking out the nation’s top Google searches. That’s exactly what Madigan began to do after she accidently stumbled upon a few during a Google search for a good Italian restaurant.